The White House invited technology leaders to a summit last week to discuss eliminating policies that provide obstacles to modernizing the Federal government. Secretary of the Treasury Steven Mnuchin and Director of the National Economic Council Gary Cohn held a listening session with technology leaders to discuss tax reform and the implications of a new tax plan on the technology sector. The executives discussed President Donald Trump’s goal to gut the H-1B visa program, which is frequently used to employ foreign engineering talent in the U.S., during a time when technology companies are scrambling for talent. The White House gathered CEOs from Apple, Amazon, Microsoft, Palantir, IBM, Intel, and Oracle, among others. The CEOs joined the American Technology Council, under its director, Chris Liddell, the White House director of strategic initiatives. Jared Kushner, head of the White House Office of American Innovation, delivered remarks to the press during the summit. 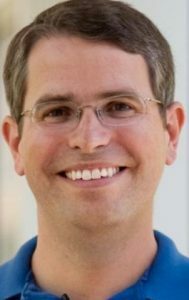 Matt Cutts, director of the United States Digital Service, who also had a seat at the table during the discussions, talked about the policies that prohibit the government from using new technologies. Cutts said that USDS could be thought of as the “A-Team,” a group of technology experts with industry expertise that swoop in when Federal agencies encounter a technology problem. The White House on June 22 hosted the American Leadership in Emerging Technology Event, where American tech industry leaders demonstrated technologies like advanced drones and 5G wireless networks. Federal Communications Commission Chairman Ajit Pai said that to strengthen 5G technology that will enable the Internet of Things, the United States would need more infrastructure, including hundreds of thousands of small cells and miles of fiber to carry the traffic. Pai said that the FCC is working on eliminating rules that prevent companies from building this infrastructure. The FCC is working on a process that could approve new technologies within one year, which would make the agency more agile.